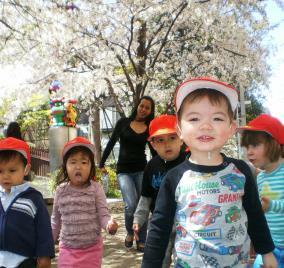 The RLC Preschool is one of the longest-running English-speaking early learning institutions for young children in Tokyo. They opened over twenty-five years ago as a mum-child playgroup, and although they have since developed into a preschool with a much wider scope and expanded program, RLC remain dedicated to working closely with parents as their children develop through the semesters. Their program is based around a philosophy of creating a safe and yet at the same time exciting environment for young children (aged from 18 months to about 4.5 years) to transition from a home-based environment to their first school-based environment. At their preschool, children enjoy a huge range of interesting and stimulating activities and learn to play and socialise with other children in a friendly and warm preschool setting that helps them to grow in confidence and independence. Tell us what uniquely is RLC's brand of teaching in terms of Early Childhood Development. At the RLC Preschool, we believe that a key way for children to develop skills and confidence is through playing and enjoying specific activities which maximise both the children's enjoyment and stimulates them in a way that helps them to develop in all the different learning areas. 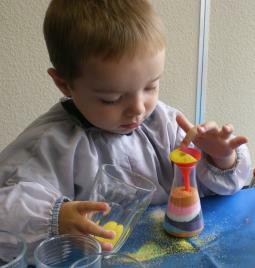 We carefully choose really fun activities which help the children to develop their fine and gross motor skills; encourage them to be creative in art work; allow their imaginations to be stimulated; and challenge their cognitive senses. In addition, we recognise the importance of focusing on activities that enable children to mix and play well with others. By encouraging and facilitating mutual play, we can help children to develop their early social techniques. What programs/activities are available for preschoolers? We choose a different theme every term, for example: farm animals, shapes, weather, etc., and base much of our program around that theme. We have a huge range of activities including (but not limited to!) art work, percussion instruments and singing, books and story time, puzzles, outside time, imaginative and role-play, water and sand, and many other toys and fun endeavours. During the summer months of July and August, we run an eight-week Summer School program based around the theme of beach and water. Using books, art work, role-play beach props, water animal models, and many other theme-based materials we aim to enjoy the relaxed atmosphere of the summer whilst at the same time ensuring that the children are challenged and stimulated in their ventures. Do you have after-school activities that support parents who both work? We are currently developing plans to offer additional programs from September. But at the present time, we close at 2pm. What kind of children are welcome at RLC? We have a very international mix at the RLC Preschool - all children between the age of 18 months to 4.5 years are welcome! During the summer school, we also welcome siblings up to six years old. Tell us about your school days / hours and teachers at RLC Preschool. We offer two programs from Monday to Friday, 9am to 11:45am and 9am to 2pm. We also offer an early bird drop-off from 8:30am to 9am. Our teachers are all highly experienced and qualified staff from the United Kingdom and Australia, as well as a native English-speaker from the Philippines. Our teachers recognise that each child is a unique individual and we make sure to develop a nurturing and positive relationship with every single child. When do terms start and end? We have three regular terms in a year: Fall (September to December), Winter (January to March), and Spring (April to June). We also offer an optional eight-week Summer School, where we allow part-time attendance and a flexible schedule that helps parents during the busy and active summer months. Tokyo Families spoke to Aliy Lickfold, the School Director.